Ask LH: How Can I Sync All My Calendars On My iPhone? The auto-detected search engines in Google Chrome are one of those niceties that makes the browser outshine Firefox among power users. Without it, all those shortcuts that are burned into your muscle memory are useless. Or at least they were. You can now enable search engine (and open tab) syncing in the dev channel of Chrome. If your family uses one Apple ID to purchase music and apps and have more than one iPhone or iPod Touch you probably won't want to share the same Apple ID account for iCloud on each phone. Doing so would sync the same contacts, inbox, bookmarks and other personal settings. 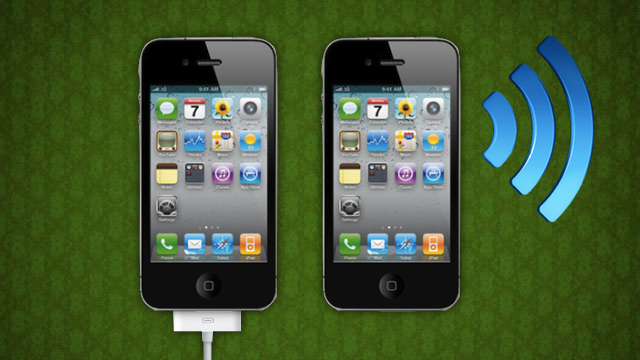 One of the big new features in iOS 5 is liberation from your sync cable. Now, you can sync your music, movies and apps all over Wi-Fi -- albeit a bit slower than over USB. How much slower? We put it to the test to find out whether it was still fast enough to be worth your time. 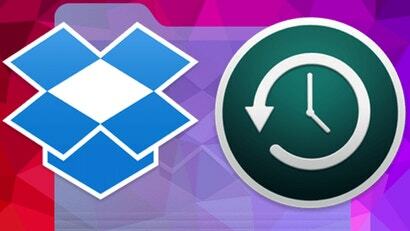 Windows only: PureSync is a user-friendly file syncing and backup application. If you've been putting off messing around with syncing files, PureSync's simple profiles and smooth interface might just lure you into data safety. Reader hominid.todd says that a Google rep emailed him about the long-awaited status of the Browser Sync extension for Firefox 3. Turns out they're discontinuing development on it. Here's Google's response to hominid.todd's inquiry:Thanks for trying out Google Browser Sync and for all of your feedback. It was a tough call, but we decided to phase out support for Browser Sync. Since the team has moved on to other projects that are keeping them busy, we don't have time to update the extension to work with Firefox 3 or to continue to maintain it. Mac only: The newest beta release of Senuti—a utility that copies music from your iPod to your computer—now supports the iPhone and iPod touch. Just install Senuti on your Mac, hook up your iPhone or iPod touch, and the Senuti beta will list all the songs on the device and place a blue dot next to songs that already exist in your iTunes library. Select the songs you want and press the Transfer button to copy them to your Mac. The touch-friendly Senuti version is a beta, but it worked like a charm on the one iPhone I tested it on. Senuti is a free download for Mac only; be sure to hit the beta link lower on the homepage for iPhone and iPod touch support. Thanks, smackswell! iPhone/iPod touch only: The lamest omission in the whole of iPhone development is the lack of sync for Notes. Let's be honest—the iPhone keyboard is nice, but you don't want to have to use it for all your notes. That's where RemoteNote comes in, a donationware iPhone application available through Installer.app. Whenever you run it, you can view, edit, create, delete, back up, and even print your notes through your web browser. Similar shareware tools have been available, but RemoteNote is the first no-cost option I've seen. RemoteNote works with both the iPhone and iPod touch, requires installation of the Jiggy Runtime (also from Installer) and a jailbroken iPhone. Thanks Lee! FuseCal is a web app that does something so useful, yet so seemingly rare, that it's hard to believe it's both free and easy to use. The app, currently in alpha, lets you add iCal-based calendars (and a few other formats) to a master calendar, then choose whether all those events, just the ones you pick, or events filtered by keyword will be synced to Outlook, Apple iCal, Google Calendar, or another program. I've only had time to test the Google Calendar->FuseCal->Outlook setup, and it seems to work. Those with web sites can also publish their combined FuseCals on their site. FuseCal is free to use; a sign-up lets you keep your calendars in sync. If you've spent hours ripping a DVD or downloading a video just to find—when all's said and done—that the audio and video aren't matching up, reader Will suggests using video-Swiss-Army-knife VLC's desynchronisation feature to sync up the audio. In the VLC Preferences, click on Audio and then tick the Advanced options checkbox; there is an Audio desynchronization compensation setting that allows you to set a positive or negative time delay between the video and audio tracks in milliseconds. I find unsynchronized video/audio unbearable, and have been known to delete files without watching them for it. It never occurred to me that there would be such a simple solution! Will points out that you need to stop and start the movie each time you make an adjustment, but if you've been banging your head against the wall over poorly synced audio, VLC can make quick work of it. Thanks Will! Windows and Mac OS X: Free data-syncing utility FolderShare has released an updated Windows client with better Windows Vista support and performance, as well as a redesign of the website where you can easily share and grab files from another computer, whether it's Mac or PC. As with the first time we mentioned it, FolderShare only limits individual file sizes (up to 2 GB) and the number of files per shared library (10,000)—other than that, it's whatever you want to share. If you've got a different OS at home and work, or you just want an easy synchronisation tool for an always-on box, FolderShare fits the bill, and can help you keep Firefox profiles and Greasemonkey scripts in sync. FolderShare is a free download for Windows and Mac OS X systems (with an updated Mac client in the works, according to developers).